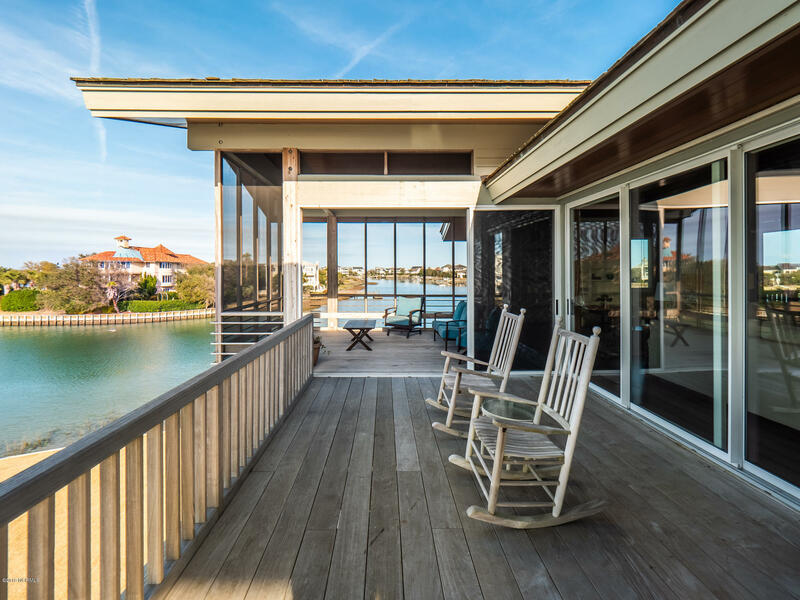 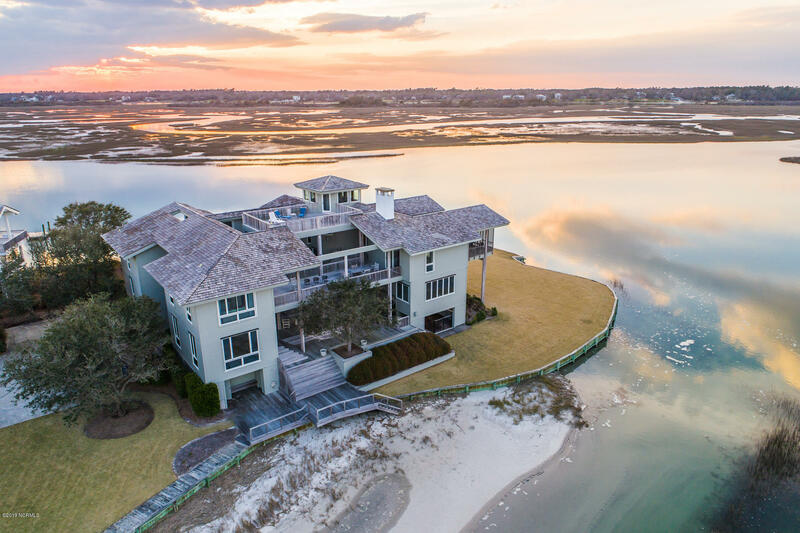 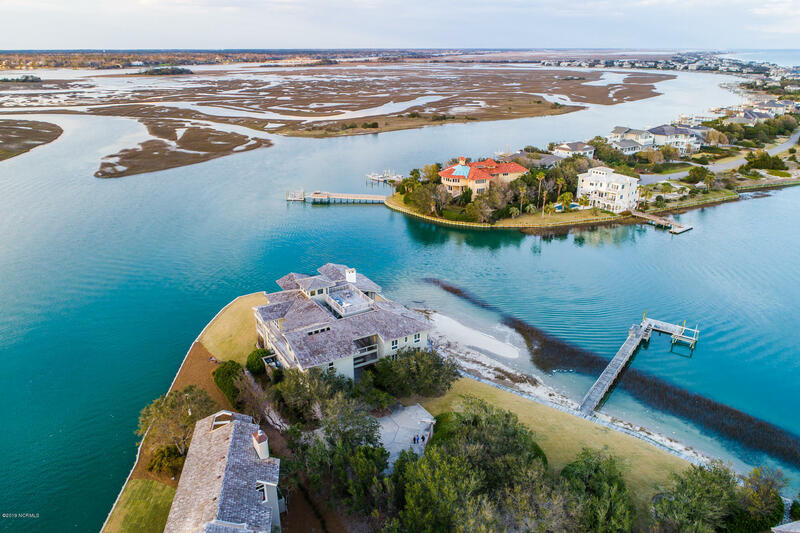 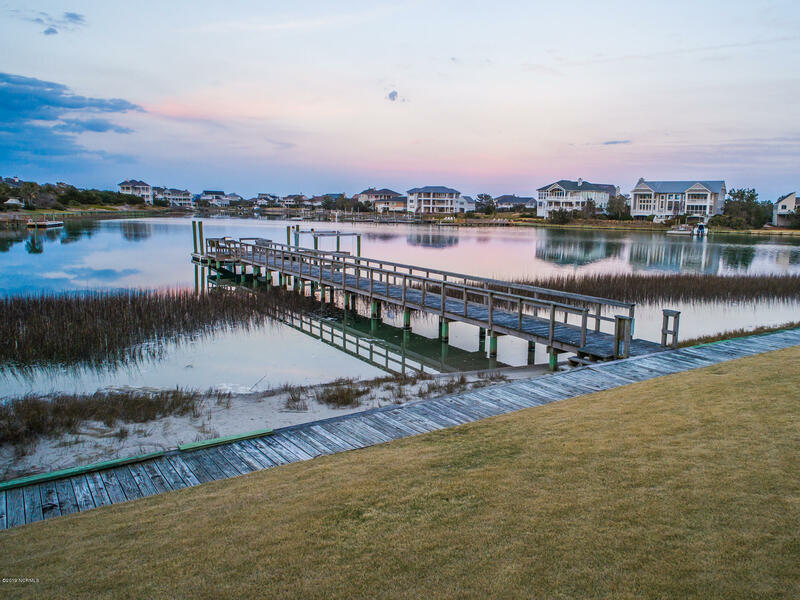 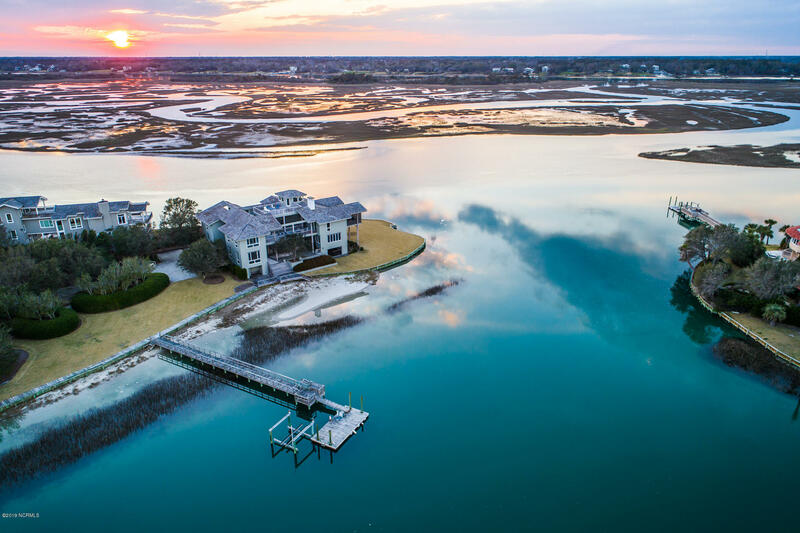 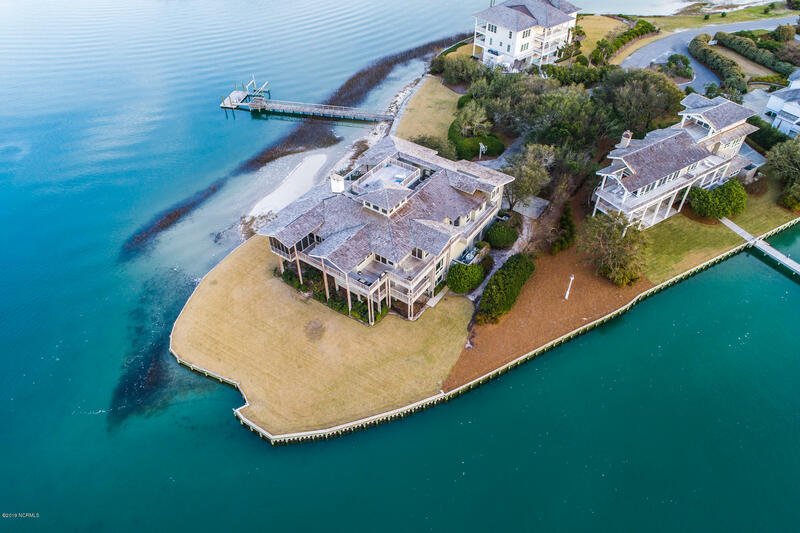 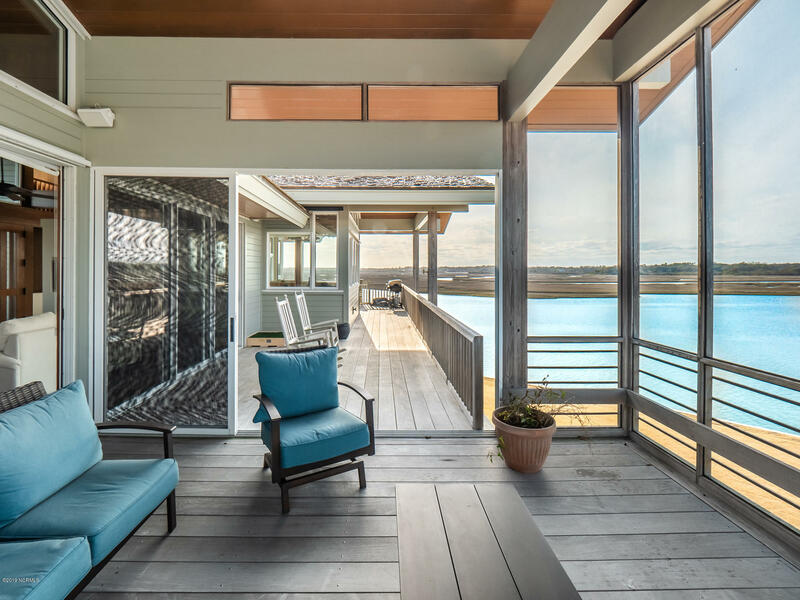 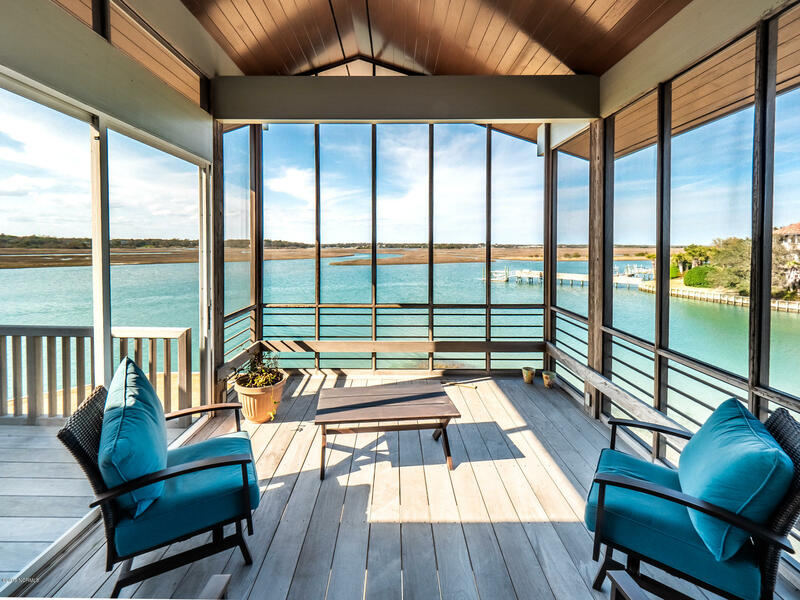 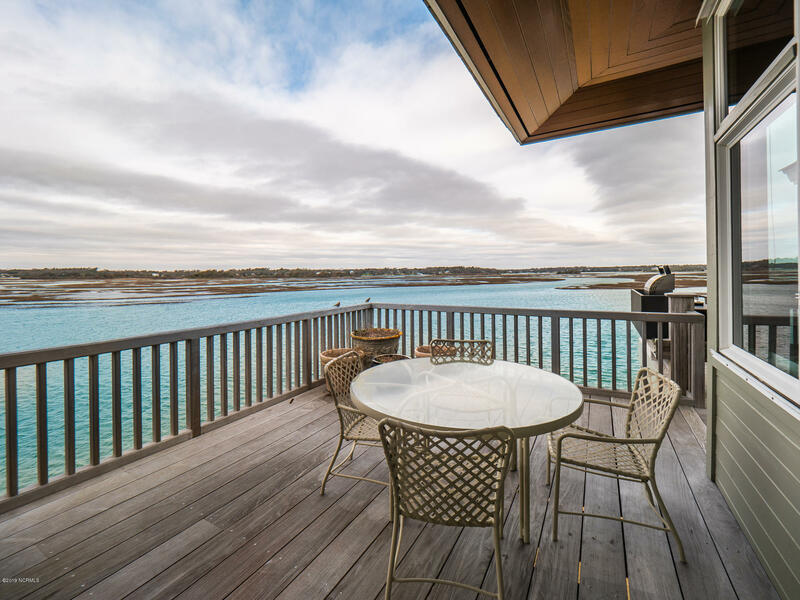 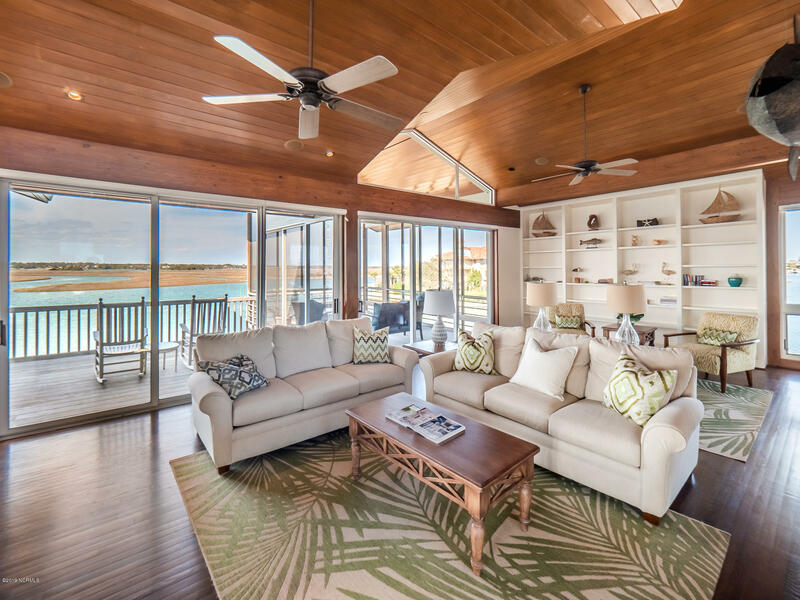 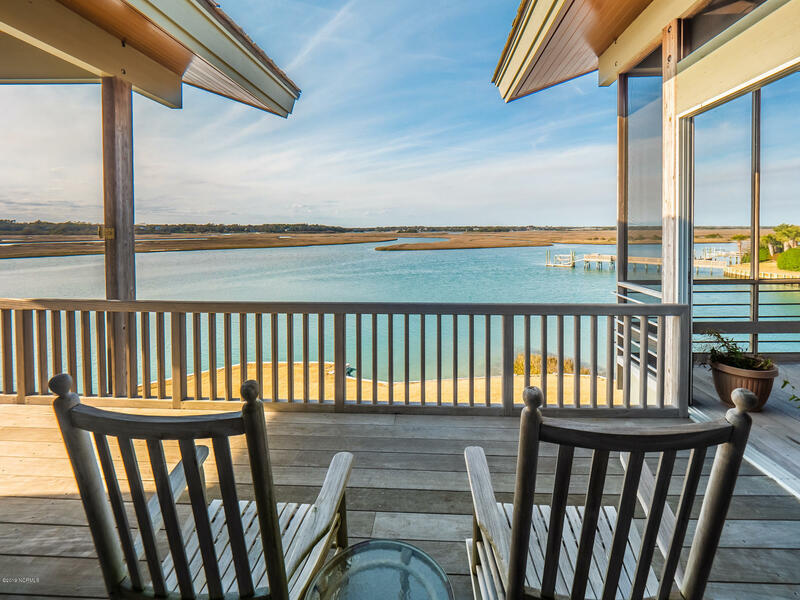 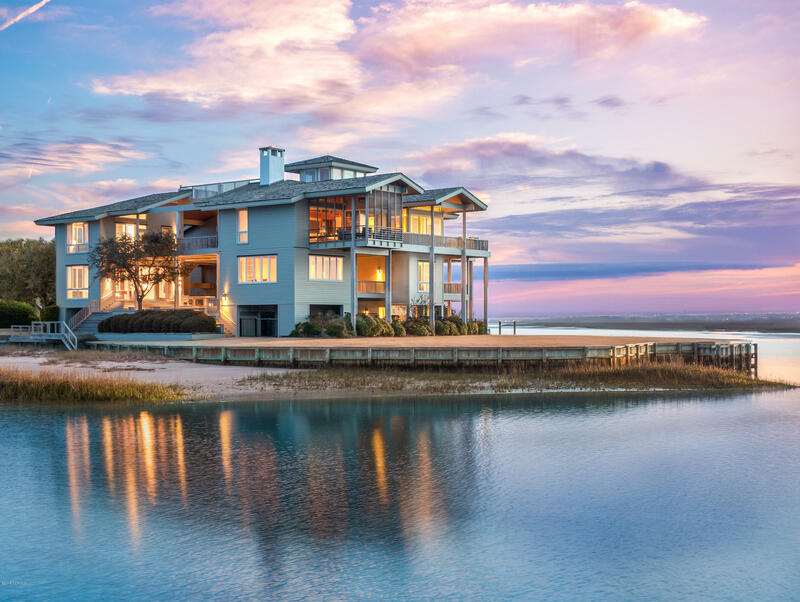 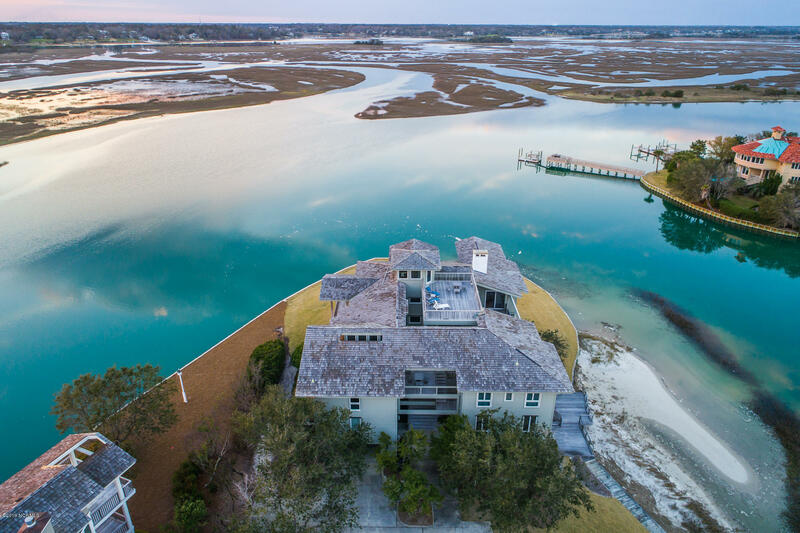 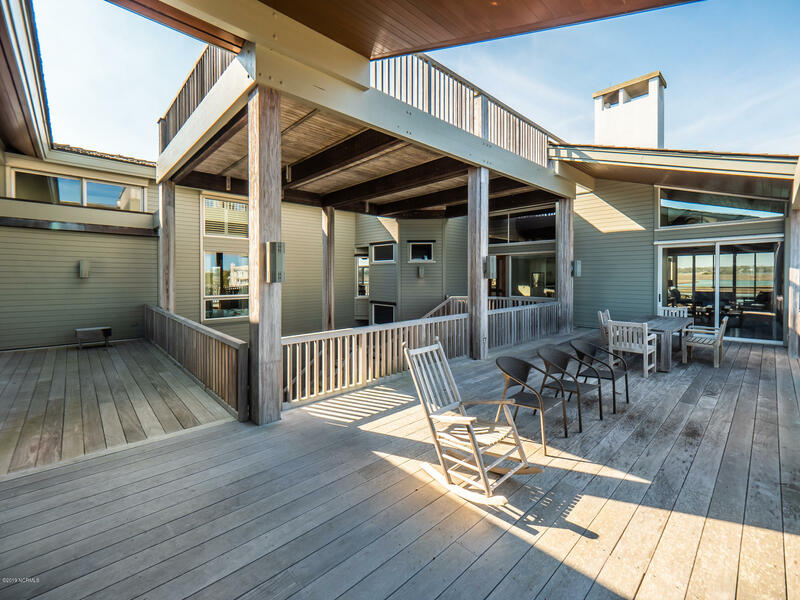 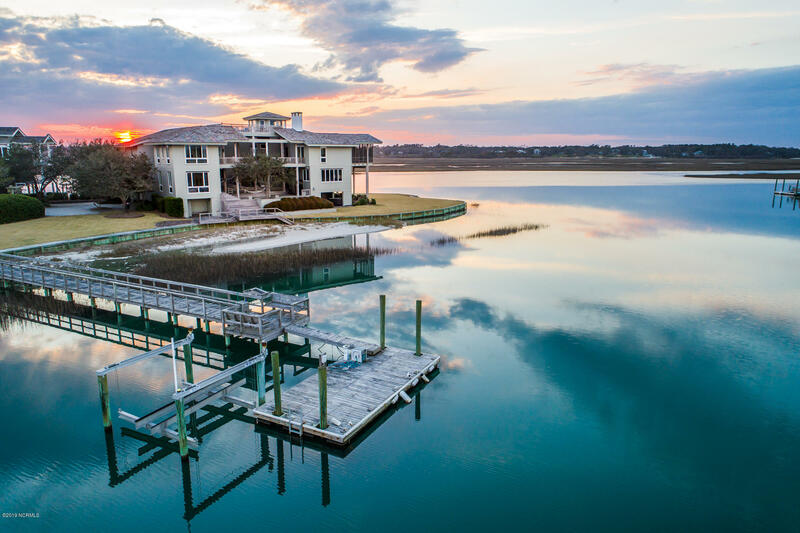 One of Figure Eight Island's most iconic residences located on a private peninsula fronting the channel and surrounded on three sides by water. 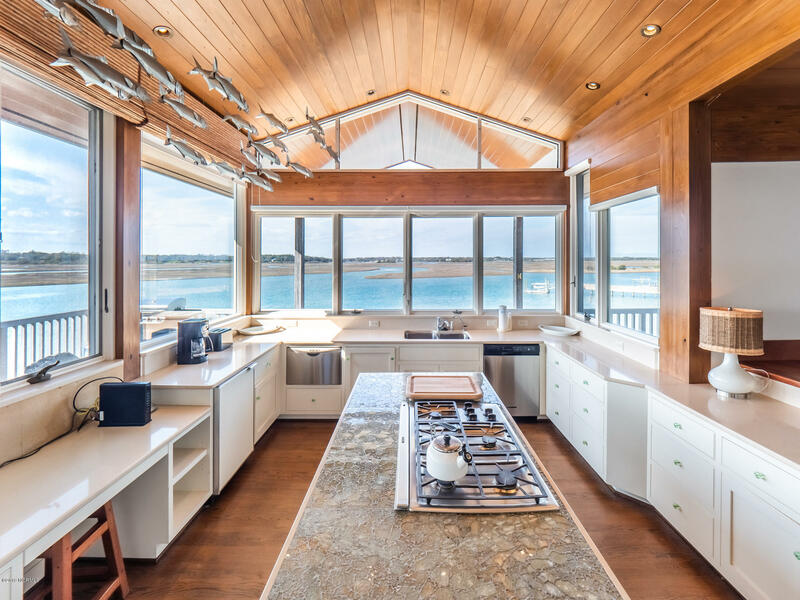 This magnificent waterfront estate was designed by highly acclaimed mid-century modern architect Ligon Flynn, and built by Jim Farlow. 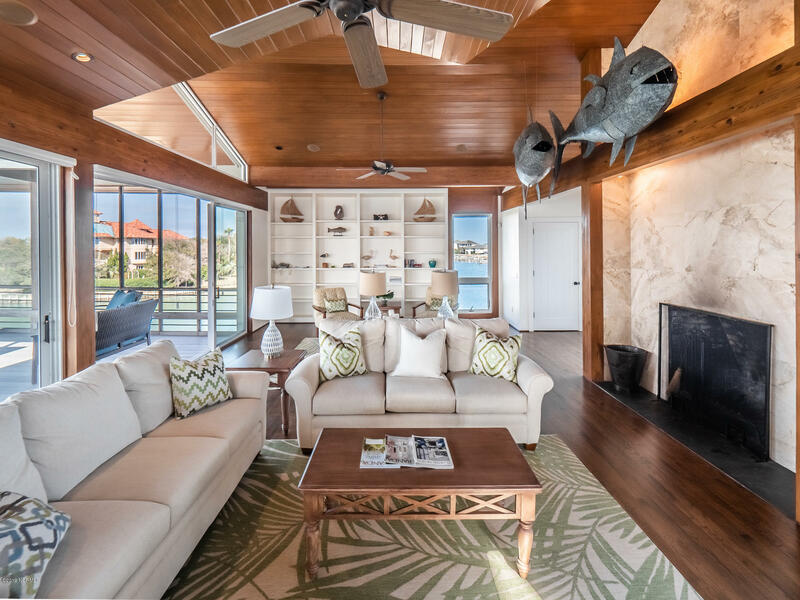 The property boasts four pavilions and multi-level outdoor living areas with gorgeous sound and ocean views that never end. 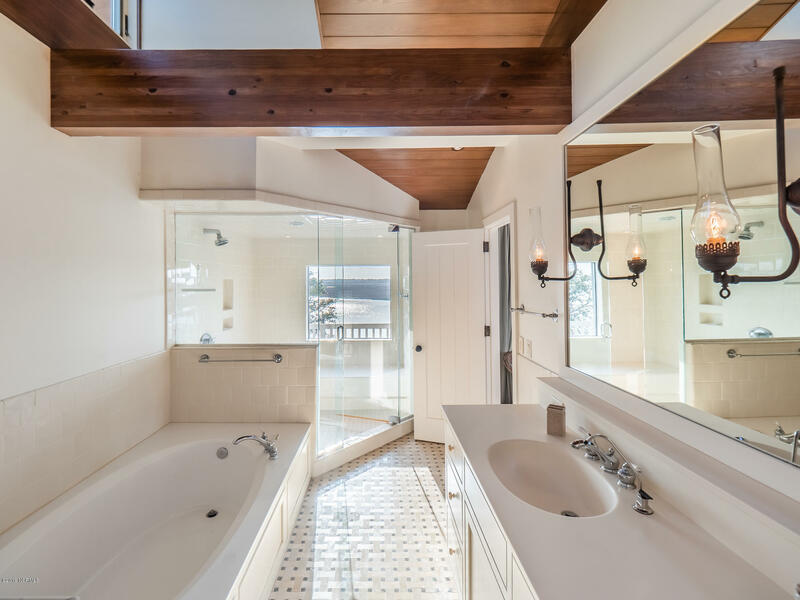 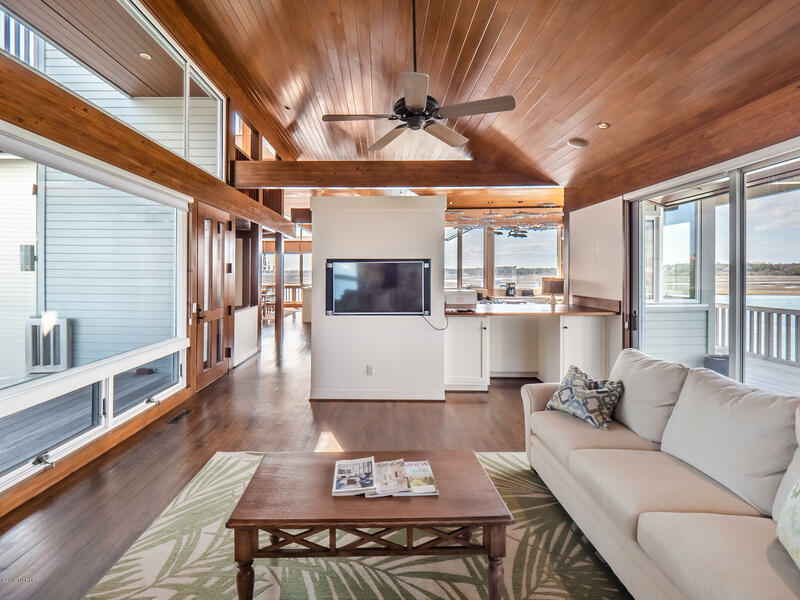 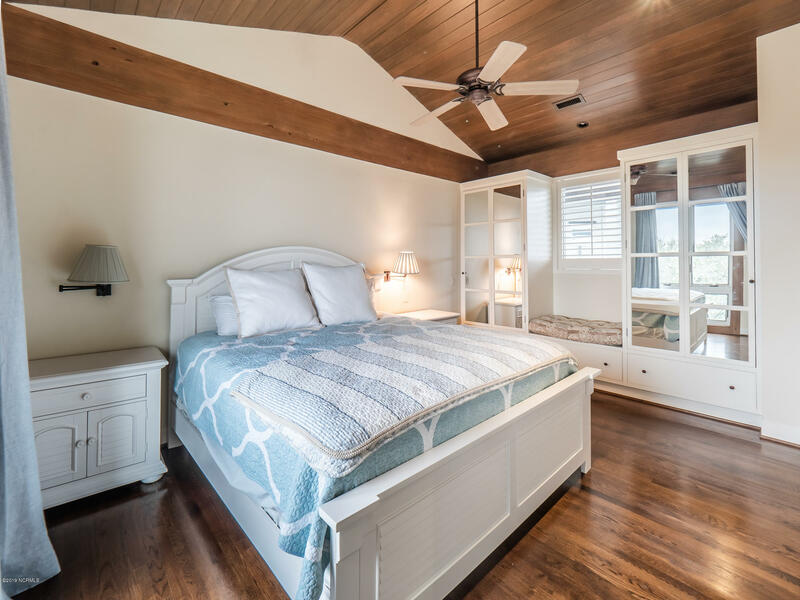 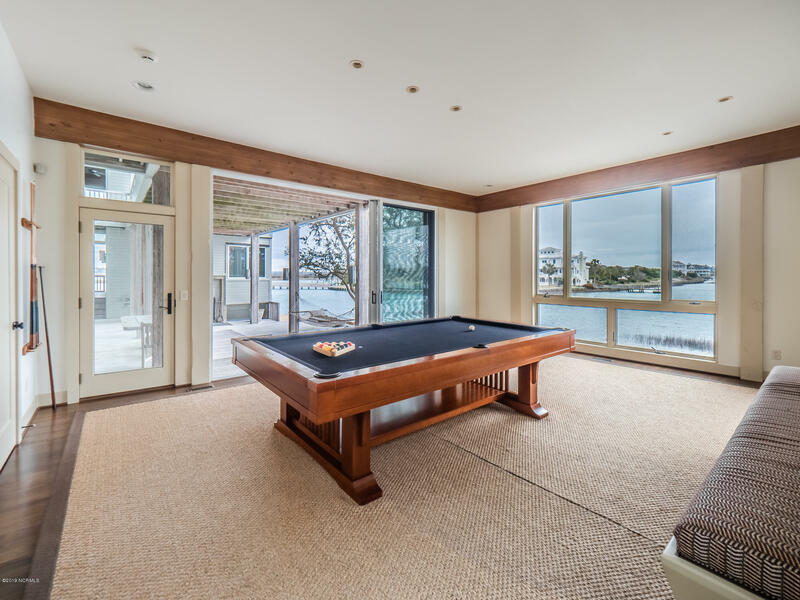 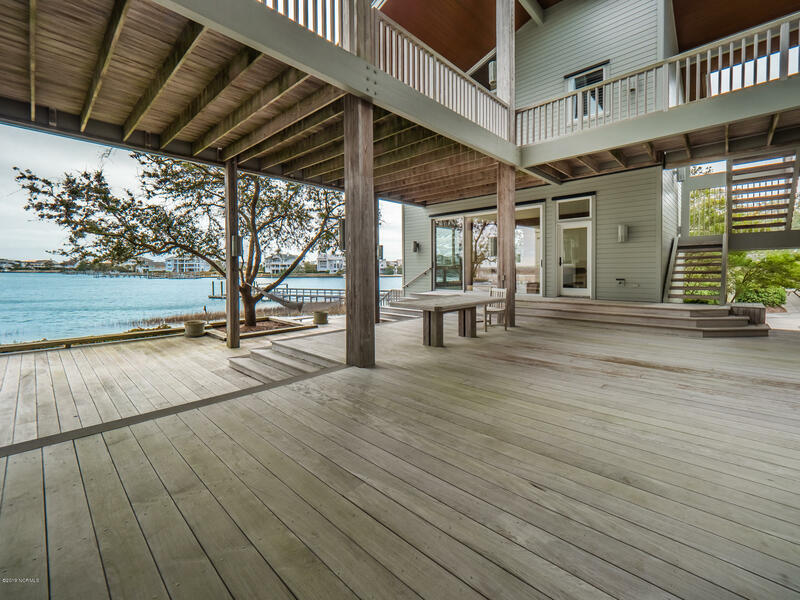 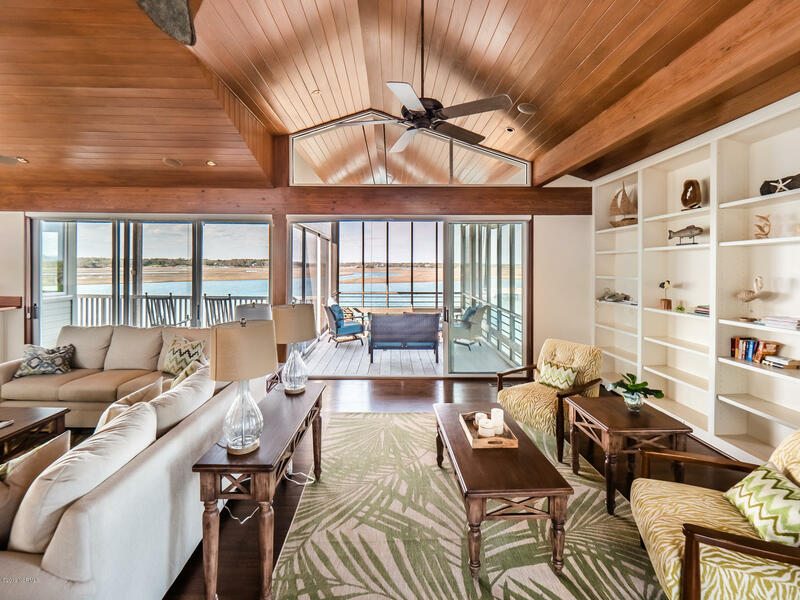 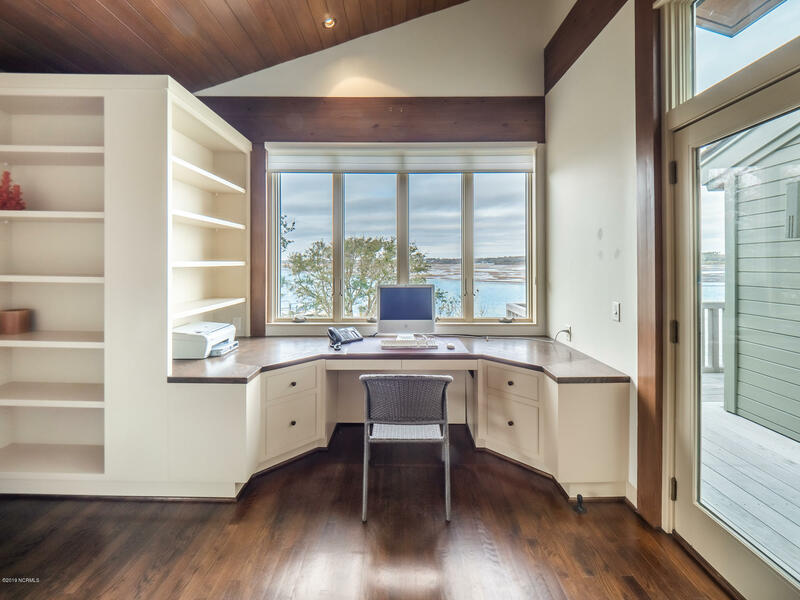 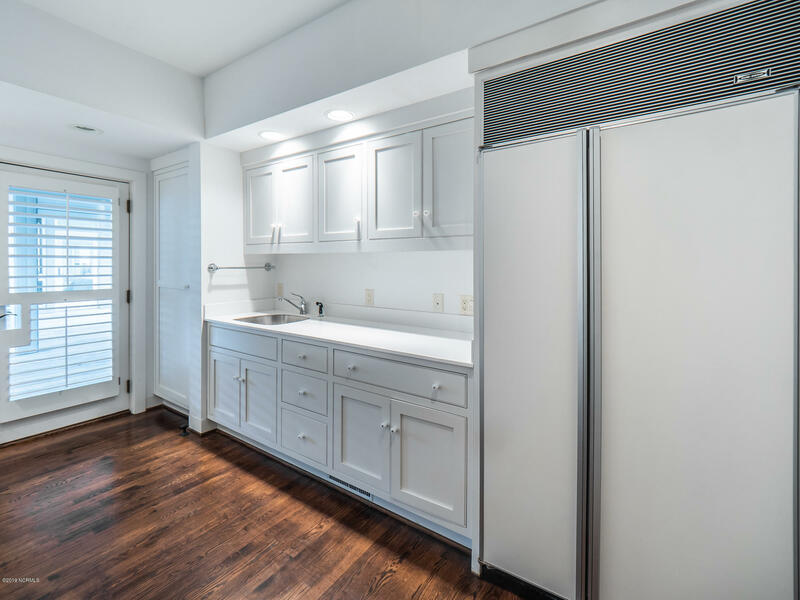 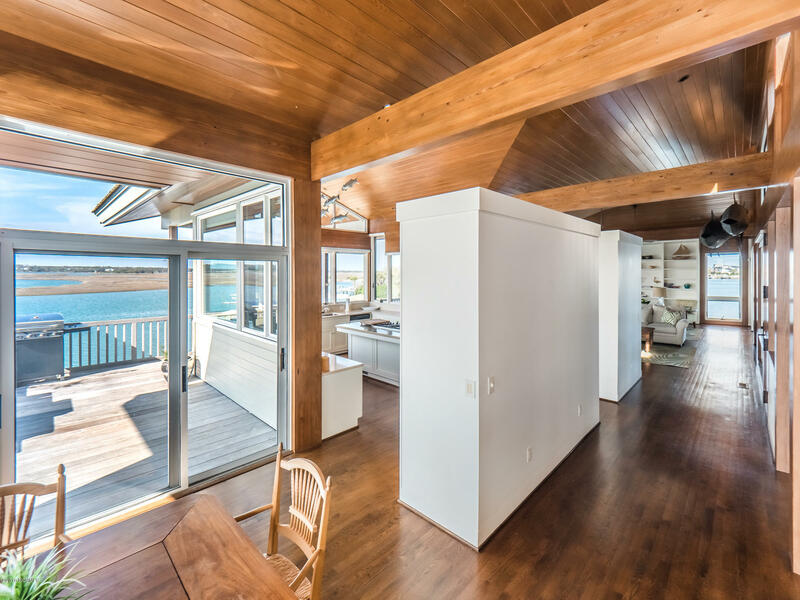 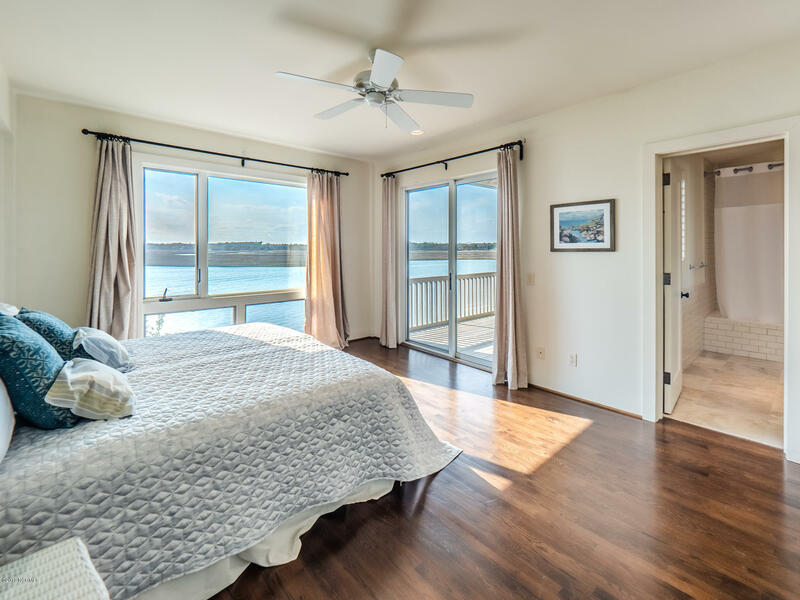 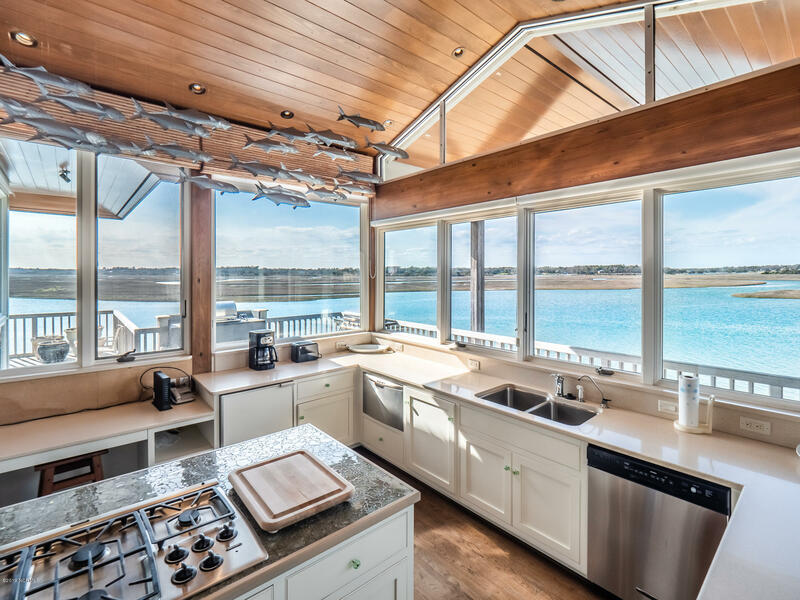 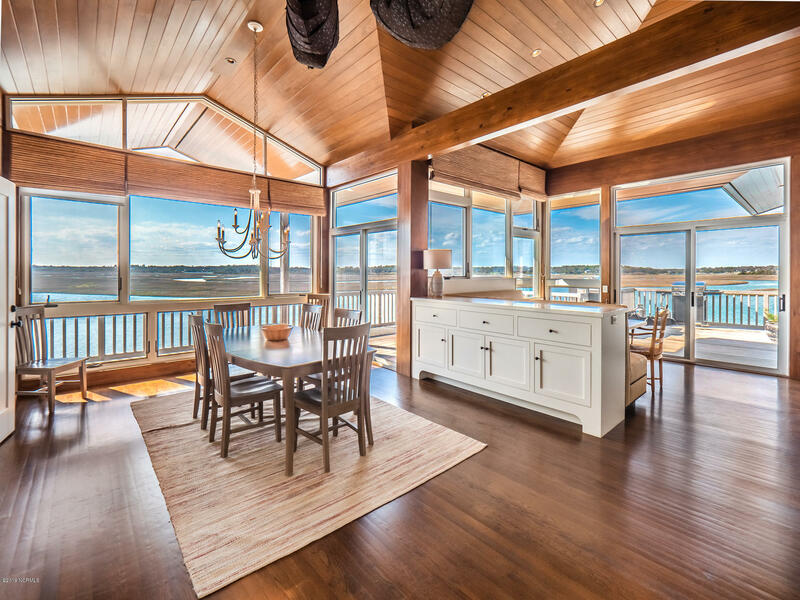 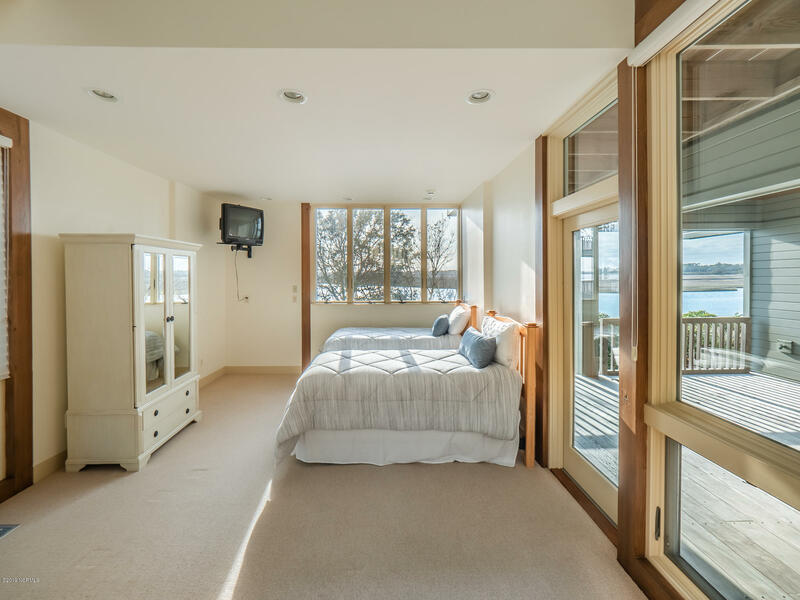 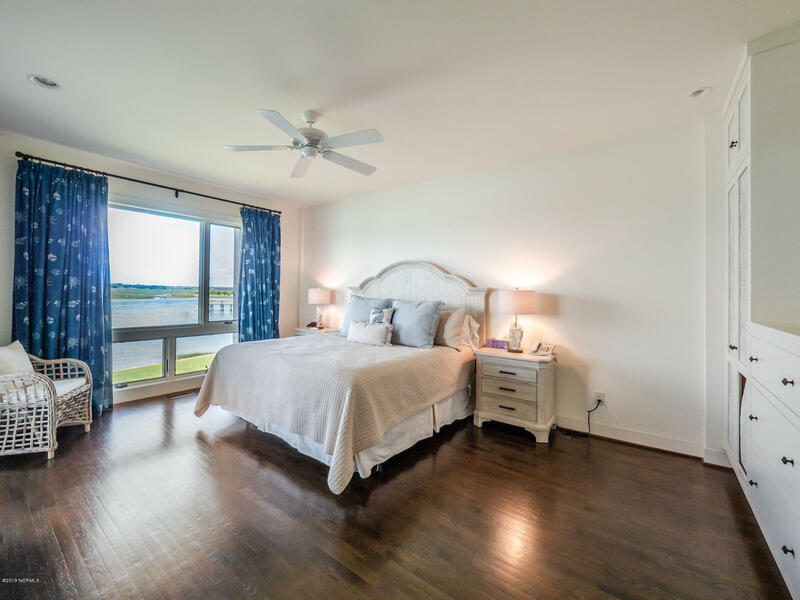 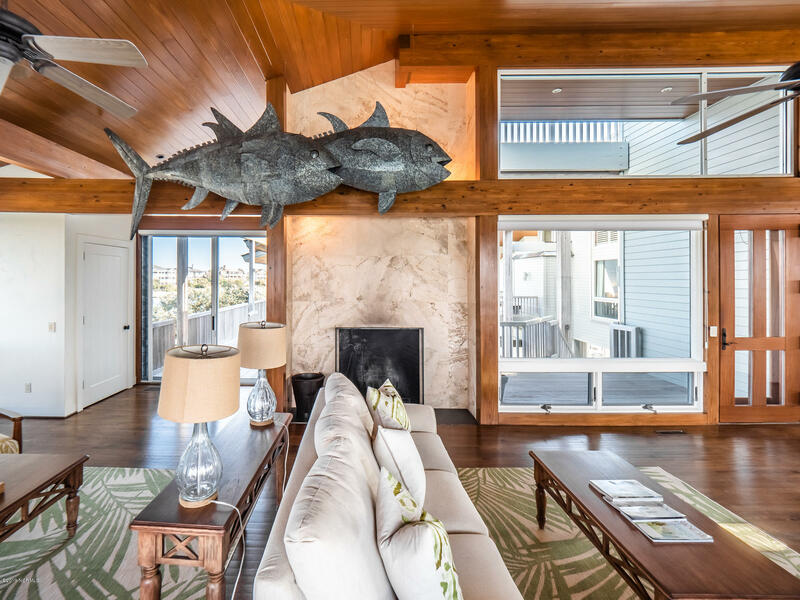 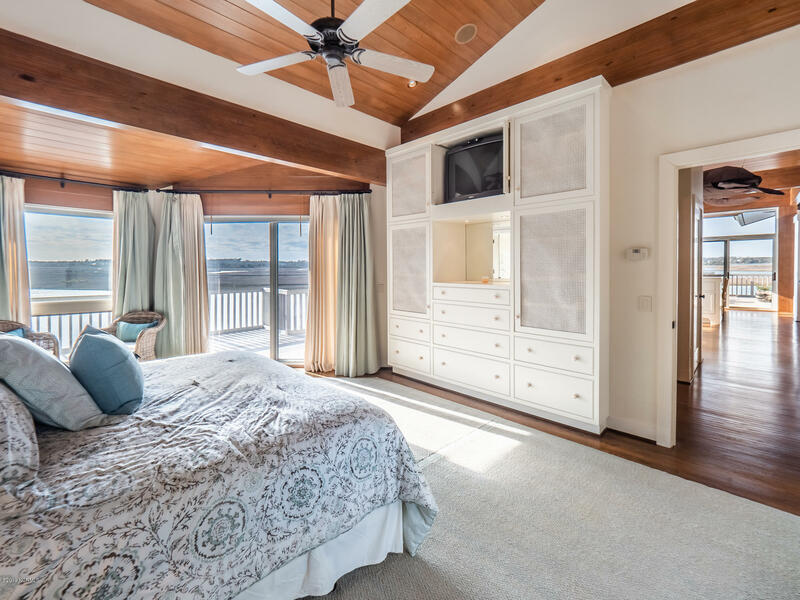 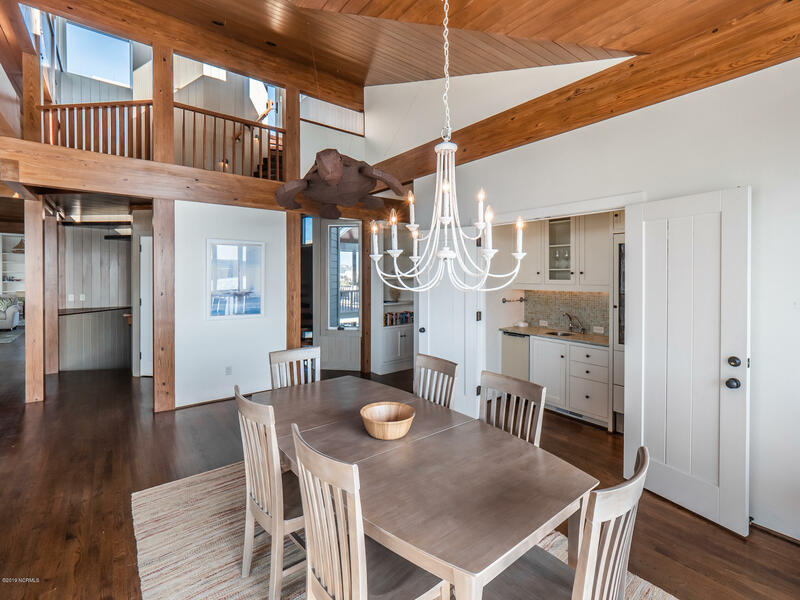 Fantastic details throughout this entertainer's dream include custom reclaimed cypress siding from the Cape Fear River, vaulted ceilings, oak hardwood floors, and indoor outdoor sound system and elevator. 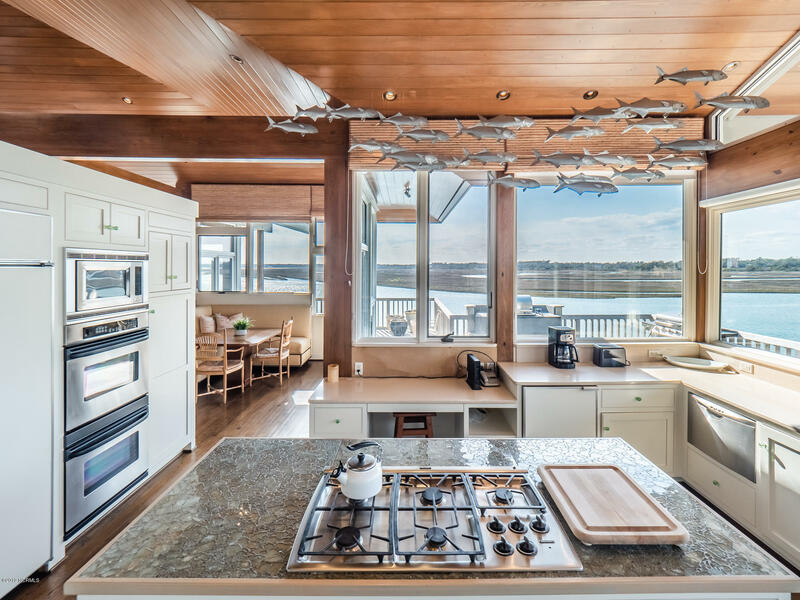 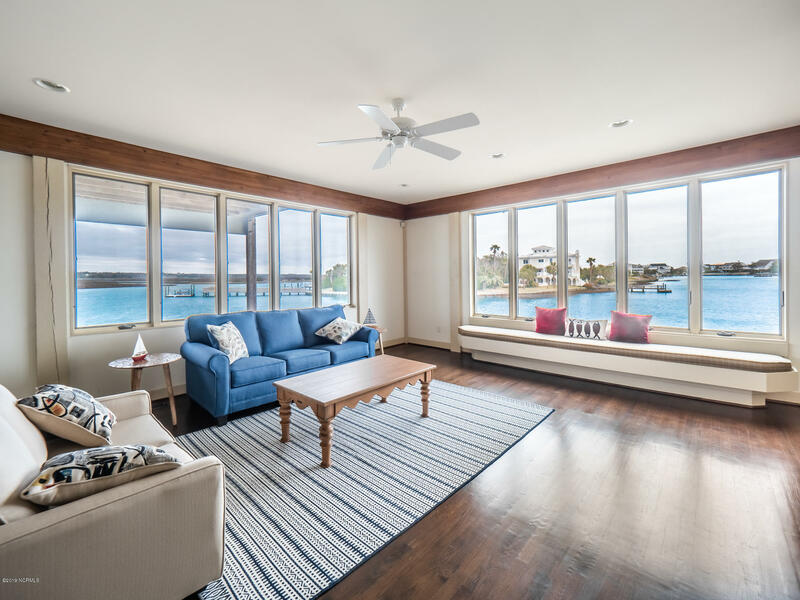 Enjoy time with family and friends in the panoramic view kitchen or an outing on the water from your private pier, dock and boat lift.